In the period from 9 to 12 March 2018 in Nuremberg, Germany, the 45th international exhibition of hunting and sporting weapons and accessories «IWA OutdoorClassics 2018» was held. The exhibition was attended by more than 1,558 companies from 60 countries. The quantity of visitors was more than 47 000 people from 130 countries. JSC «Murom apparatus producing plant» traditionally participated in the exhibition at the joint stand of the enterprises included in the state Corporation Rostec. Along with our enterprise JSC “Federal Research and Production Center “Scientific Research Institute of Applied Chemistry”, JSC» Krasnozavodsk Chemical Factory «, JSC “Novosibirsk Mechanical Plant “Iskra” and others presented their products. Within the framework of the exhibition, JSC MAPP demonstrated its products — primers for cartridges to civilian weapons, rescue and signaling appliances for equipping ships, pyrotechnic products for military-sports games. Together with the specialists of the enterprise the factory products were represented also by the partner of our company — «TAG-innovation» (Russia), which is a developer of grenades for military-sports games. 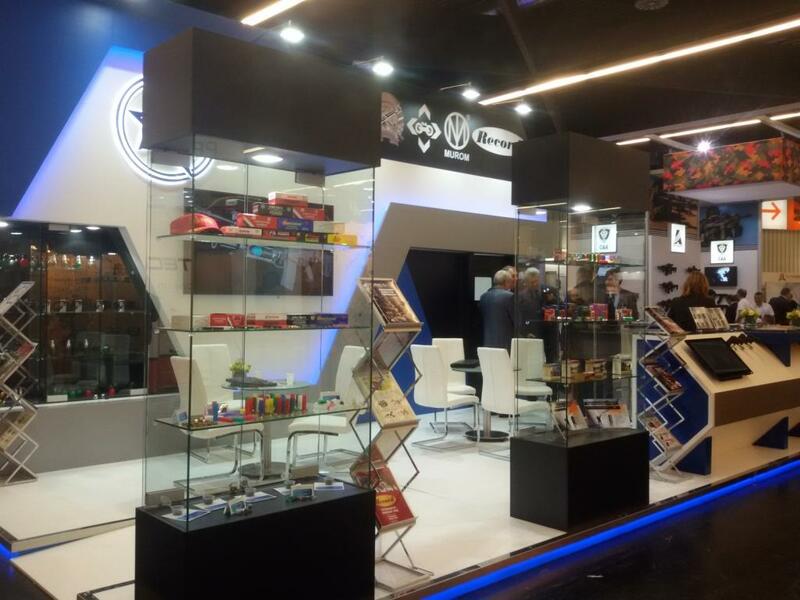 In addition, our primers under the brand «MUROM» were presented at the stand of our official distributor in Europe — the company «DTG — Defense Technology Group srl» (Italy). During the exhibition, negotiations were held with representatives of more than 50 companies from 25 countries on the issue of delivery of both traditional products of our enterprise (primers) and relatively new ones — pyrotechnic products for military-sports games.